There are so many interesting Dolphin Facts for Kids! 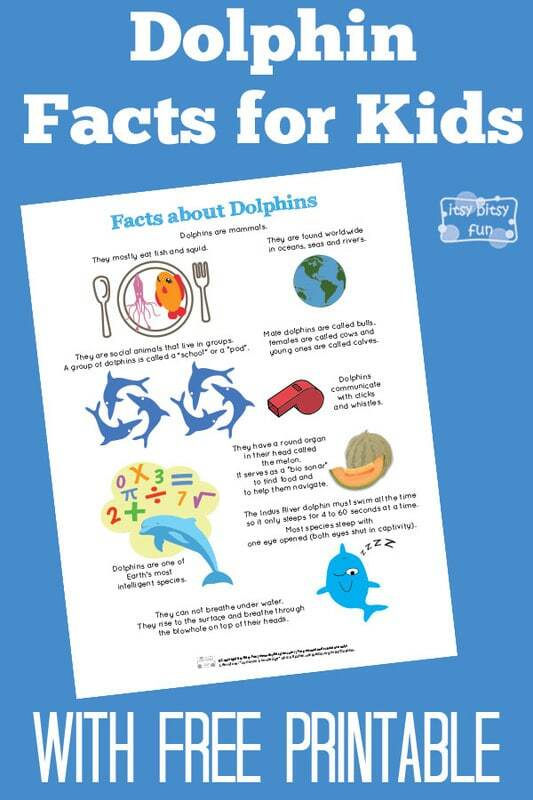 Let’s learn with facts about dolphins for kids! Many fun facts for kids (and yourself) to explore! And to make things easier for the kids also grab a free printable they can save and combined with other printables make their own book of facts! I love dolphins, in fact Orca was my favorite animal (sea animal) in the whole world when I was a kid and I had a plus toy that went everywhere with me. Truth be told at that time I did think it was a whale! Let’s learn something this awesome animal shall we? Male dolphins are called bulls, females are called cows and young ones are called calves. They are social animals that live in groups. A group of dolphins is called a “school” or a “pod”. They are found worldwide in oceans, seas and rivers. Dolphins are one of Earth’s most intelligent species. They can not breathe under water. They rise to the surface and breathe through the blowhole on top of their heads. Dolphins communicate with clicks and whistles. Most species sleep with one eye opened (both eyes shut in captivity). The Indus River dolphin must swim all the time so it only sleeps for 4 to 60 seconds at a time. They have a round organ in their head called the melon. It serves as a “bio sonar” to find food and to help them navigate. They mostly eat fish and squid. 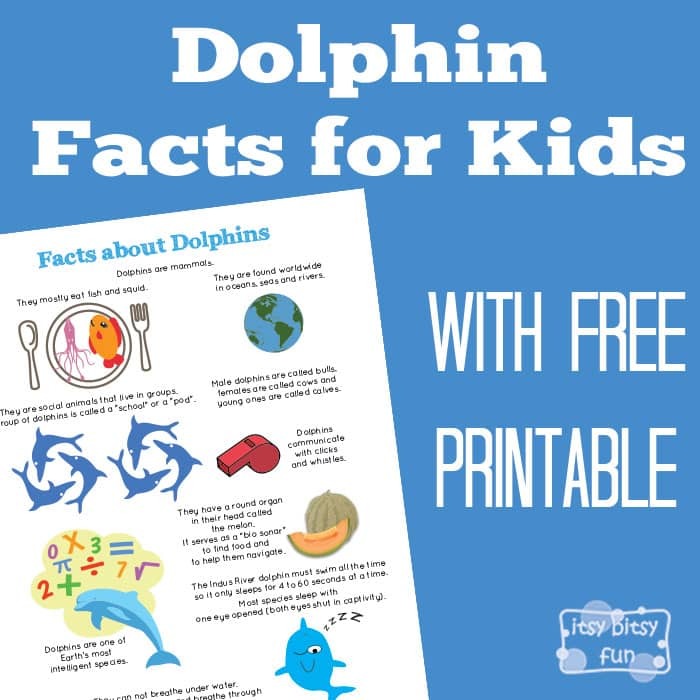 Get your free printable PDF with Dolphin Facts here.